The veteran's weight had ballooned to more than 300 pounds. After a 2011 semi-truck accident crushed his hip and legs, Buddy Rich's weight increased to over 300 pounds and he fell into a suicidal depression. “The one thing that stopped me was my daughter,” the Florida military veteran said of his thoughts of suicide. His daughter was born just three weeks before the accident. (ABC News) Buddy Rich runs alongside his daughter as she rides her bicycle. An accident that crushed his legs and hip, led to severe depression. His daughter, born shortly before, helped keep him from committing suicide, and yoga helped him heal. Rich had served in U.S. Army as a specialist in an engineering detachment from 2003 to 2008 and in the Army Reserves from 2008 to 2011. Afterward, he returned to school and worked for a delivery company. One of his closest friends in the military had committed suicide after they had both retired from service. Rich was inspired to try yoga to cut his weight and strengthen his muscles after he stumbled across a viral video of another disabled vet named Arthur Boorman who lost weight following a yoga plan by former pro wrestler Diamond Dallas Page. In the years that followed, Rich reduced his weight by 125 pounds and regained much of his mobility. 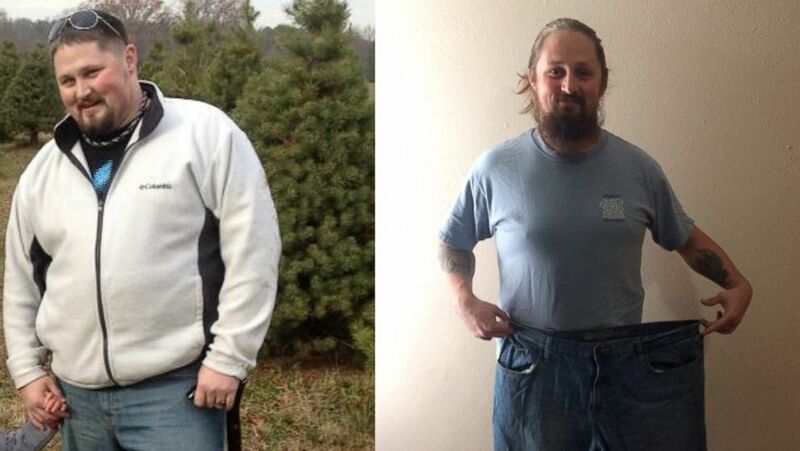 (Obtained by ABC News) Army veteran Buddy Rich lost 125 pounds through a yoga plan of former pro wrestler Diamond Dallas Page. 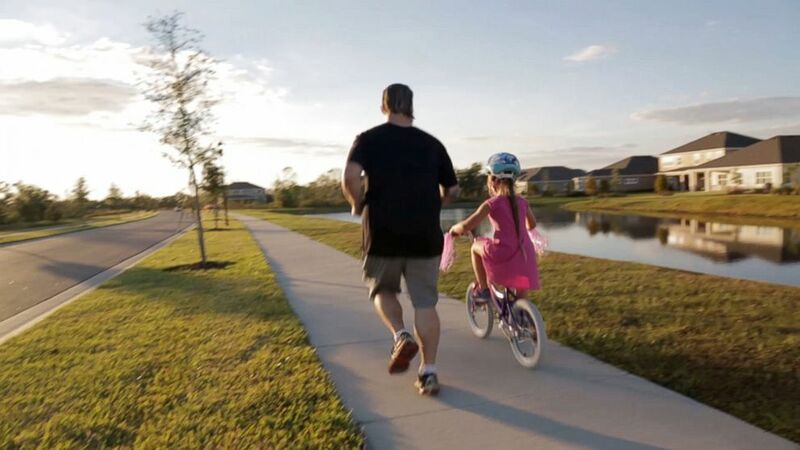 Just a few weeks ago, he taught his daughter how to ride a bike while running alongside her. “I never thought I was going to get to wrestle with my kids, pick them up, anything. [Now] I can be a dad again,” said Rich. (ABC News) Army veteran Buddy Rich's weight increased to over 300 pounds and he fell into a severe depression after a 2011 semi-truck accident crushed his hip and legs. He lost 125 pounds through a yoga plan of former pro wrestler Diamond Dallas Page, right. He was surprised when Diamond Dallas Page showed up on the doorstep of his Apollo Beach, Florida, home to congratulate him on his successful training and to do a backyard workout with Rich.